T he utility industry in the U.S. has been changing for many years, but most often, this change is slow and somewhat predictable. It started with PUHCA in the 1930s, followed by PURPA in 1970s, FERC order 888/889 in the 1990s, and the Energy Policy Act in the 2000s. In parallel, numerous sets of technologies also appeared on the horizon and where applicable, were incorporated into utilities’ roadmaps; some of the more noteworthy technologies implemented include SCADA, EMS, wireless communication, PMUs (also known as synchrophasors), CIS systems, mobile field force enablement, and more. Through all of this, the core utility customer—the consumer of their product—was not impacted for the most part with exceptions in some states like Texas and Pennsylvania. The consumer’s expectation of where their energy was coming from did not change. Now that is changing, and with it, new challenges to the utility business model: Enter distributed energy resources (DERs). The definition of DERs is varied, but the one from New York State’s Reforming the Energy Vision (REV) is the most comprehensive and describes DERs as a series of technologies that include PV, battery storage, fuel cell, wind, thermal, hydro, biogas, cogeneration, compressed air, flywheel, combustion generators, DR, and energy efficiency. 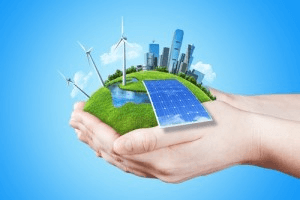 Newer mechanisms such as microgrids are coming into play, which can almost be defined as smaller grids within the existing distribution grid. These grids have the ability to be somewhat self-sufficient in energy supply-demand under some circumstances. These changes are empowering the customer and paving the way for reducing their dependence on the electric utility. The bottom line is that business-as-usual does not work in any industry. Every industry has felt the need to evolve, and this is no different for utilities. The telecom industry saw it with the “almost” demise of the landline service, which brought the venerable company AT&T down and then come back as a media, content, and wireless company. Utilities, even if they are regulated, need to change and for this they may need the help of the smart regulator as well. It is time for them to evolve and transform—otherwise, change will be thrust upon them. Author’s note: This is the first in a series of articles written by this author for Intel. The next set of articles will focus on expanding on the concepts introduced in this article—one concept at a time. The Author: Dr. Mani Vadari is founder and president of Modern Grid Solutions (MGS), delivering consulting and training services to a global set of smart grid companies seeking deep subject matter expertise in setting the business, technical, and strategic direction to develop the next-generation electric/energy system. Dr. Vadari’s Smart Grid Training is delivered to educate the executives and management of the new workforce, and his book “Electric System Operations – Evolution to the Modern Grid” is being received with -Star reviews by industry leaders. Dr. Vadari has published more than 50 articles and over 30 blogs in leading business and technical journals.